A new pair of earrings are being featured at ELEMENTAL JEWELRY this week. 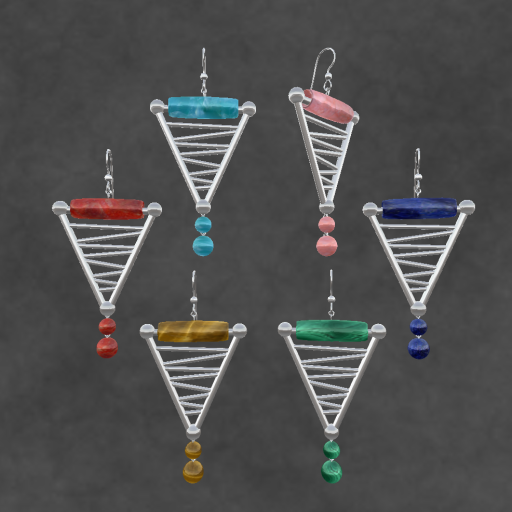 The VANESSA EARRINGS are silver, geometrical earrings with texture changing beads in chrysocolla, rose quartz, tiger eye, malachite, red coral, or lapis lazuli--see below. And...they are being offered for a limited time at the introductory price of only L$10!